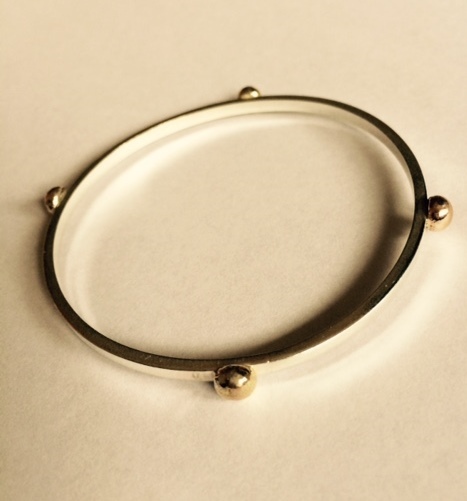 This bangle is handmade from 3mm x 2mm sterling silver and adorned with 4 chunky rose-gold nuggets. It is then polished to a high shine or textured on request. It is hallmarked by the London Assay Office and also includes my sponsors mark. Also available with yellow gold, white gold or silver nuggets.